Do you or your partner snore so loudly and frequently that your bed has become the site of a nightly battle for a good night’s rest? While snoring may seem like a trivial issue, it might be a sign that there is something more serious going on. 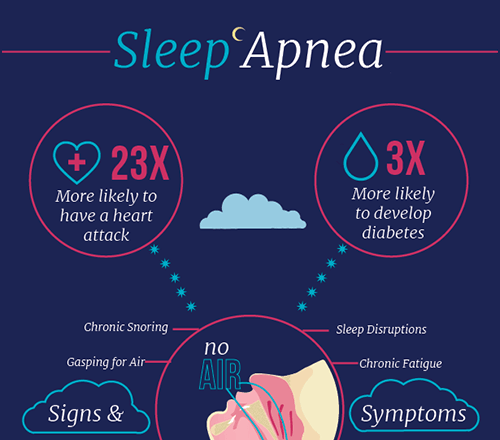 Sleep apnea is a common and dangerous sleep disorder that affects millions of Americans, while many cases remain undiagnosed because symptoms are largely present during sleep. Obstructive sleep apnea, or OSA occurs when the soft tissues in the back of the throat collapse during sleep, obstructing the airway and preventing normal breathing. The lack of oxygen and constant sleep disruptions can have serious consequences for your quality of sleep, quality of life during the day, and your overall health. If you’ve been diagnosed with sleep apnea, there are several treatment options available to you. The CPAP machine is one of the most common treatment options, although many patients find the device intolerable. A CPAP machine connects to an oxygen mask that you wear during sleep to provide a continuous flow of oxygen and prevent the airway from collapsing. However, many patients are unable to find restful sleep while wearing the device, thus rendering treatment ineffective. There are also surgical procedures for the treatment of sleep apnea, although all of them have varying side effects and rates of success. At A Smile By Design, we believe that this should be your last resort. At A Smile By Design, we are proud to offer oral appliance therapy as a successful and predictable treatment option for our sleep apnea patients. Oral appliance therapy uses a device (oral appliance) that fits like a mouthguard that you wear during sleep. The device gently shifts the lower jaw forward, preventing the airway from collapsing, and allowing patients to breathe normally throughout the night. If you’re ready to take ownership of your health and treat your sleep apnea, we would love to speak with you about oral appliance therapy. Call A Smile by Design – Dr. Vogler today, or request an appointment online! Helping Sleep Apnea Patients all over Livingston County, NY.